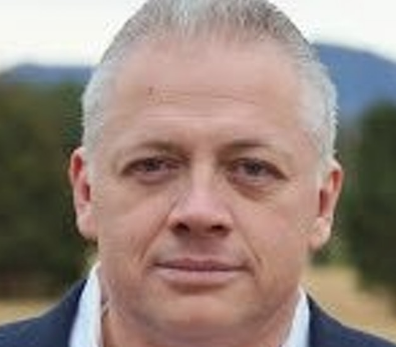 Denver Lee Riggleman III was born in Virginia and grew up in Manassas. Denver graduated from Stonewall Jackson High school in 1988, where he played football. In 1989, he married his wife, Christine, who attended high school at Osbourn High School, also in Manassas. Denver earned an A.A. from Burlington County College in 1996, an A.A.S. degree in Avionics Systems from the Community College of the Air force in 1996, a BA (with Distinction) in Foreign Affairs from the University of Virginia in 1998. Denver and Christine live in Nelson County and have three children, Lauren, Abigail, and Lillian. Between 1992 and 1996, Denver served in the United States Air Force (USAF) as a C-141 Starlifter enlisted avionics technician at McGuire AFB, New Jersey. Denver was awarded a scholarship to the University of Virginia in 1996. He graduated in 1998 and then subsequently served as a commissioned officer with the 366th Fighter Wing and 34th Bomb Squadron at Mountain Home AFB, Idaho and in the National Security Agency (NSA) at Fort Meade, Maryland. Denver Riggleman and his wife, Christine, dreamed for years of starting their own distillery, and in 2013 built, and now operate, Silverback Distillery in Afton, Virginia. Denver and his wife currently distill and distribute Gin, Vodka and Whiskeys. Denver has also been CEO of several defense contracting companies specializing in counterterrorism, analytic services, rapid technology development, critical infrastructure studies, C4ISR, cyber processes and support to “follow the money” organizations. Denver was first elected to Congress in 2018 and is honored to represent the 5th district of Virginia. 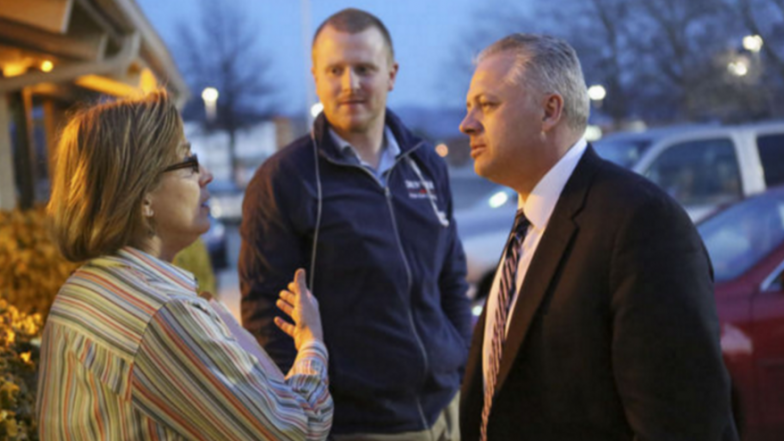 RIGGLEMAN, DENVER has run in 1 race for public office, winning 1 of them. The candidate has raised a total of $1,930,440. Denver will protect your private property rights and offers vigorous support for the “Private Property Rights Protection Act”. He will fight to end the use of Eminent Domain for private use and should seizure of property occur, the property owner must receive fair compensation. Denver’s own battle against property condemnation gives him a unique perspective on Eminent Domain abuse in the 5th District. He believes we can support a growing, independent infrastructure while ensuring property rights remain our priority, not an inconvenient luxury. Denver is a critical infrastructure expert in the Department of Defense and believes infrastructure can be effectively managed without private corporate interests manipulating the government’s power of eminent domain against property owners. Denver has decades of experience in the private sector and understands what it takes to start and maintain a successful business in Virginia. As the former CEO of a federal contracting company and the Co-Founder of a robust family business here in Nelson County (Silverback Distillery), Denver fought against weaponized regulations crafted by lobbyists and government bureaucrats. These regulations threaten entrepreneurs, agricultural interests, and district employees and create insurmountable fixed costs for many businesses. When Denver built his manufacturing facility, he encountered numerous unnecessary local, state, and federal regulations. The fight against these hurdles put in place by government and corporate bullies compelled Denver to run for public office. He knows that the best economy is one that allows businesses to grow and thrive with little or no government interference. By cutting federal regulations, Denver will fight corporate and government interests that try to pick winners and losers. Denver will the cut red tape limiting 5th District industry. He will ensure that the 5th District thrives through access to free markets, fair competition, and labor. When the President said he was going to “Drain The Swamp,” Denver knew exactly what he was referring to. For too long, lobbyists have worked behind closed doors to craft new regulations and new laws that favor large corporate donors at the expense of free market competition, limited government, and your independence. In return, these lobbyists receive billions, the politicians receive donations and special treatment, and the Government continues to grow at your expense. Denver will bring transparency to the halls of Congress and limit the size and scope of the system along the way. By design, our Government should work for us. Denver supports auditing every federal department, including the Department of Defense, so that we can get to the bottom of just how our money is being spent. But for the preservation of civil liberties, Denver believes the Federal Government has little to no reason to be in your child’s education. He is committed to returning resources and oversight back to parents, localities, and states. He thinks it is asinine that we have forced a “one-size fits all” model of testing on our public-school system. Rather than continuing to determine a child’s education simply by which zip code they live in, Denver believes the Federal Government should give states, localities, and parents the flexibility they need to allow for innovative methods of funding and school placement. Unlike our current system, Denver’s vision for education would allow everyone to have options, not just those who can afford them. As a veteran and businessman, Denver realizes that not every high school or college degree is created equally. Some students leave school with little to no practical training in a myriad of skills, yet they’re convinced that a four-year college degree is the only path for a strong career. Denver has seen first-hand how a new world of writing code and working in cyber security can result in immediate job placement and high wages. Other skills such as advanced manufacturing, HVAC, welding, plumbing, masonry, and electrical work have similar and constant demand. Denver is focused on reforming the way our federal government restricts the market’s influence on curriculum and accreditation. He wants to alleviate limitations on our vocational schools, community colleges, the Jobs Corps, and regional training programs so local businesses can have a part to play in how we develop an in-demand workforce. Finally, Denver is a proud graduate from the University of Virginia and believes the 5th District has some of the best institutions of higher education in the Nation. Nevertheless, he knows higher education has become a shell of what it once was, and it has become the source of more problems than ever before. Whether it is our nation’s overwhelming $1.5 trillion in student debt or the threats against speech and diversity of thought, Higher Ed has institutional flaws that put our future and economy at risk. Denver is committed to addressing these issues, along with the rising costs of college and the burdens of already-encumbered debt. The Affordable Care Act is an inherently flawed system meant to address the very real problem of access and cost of healthcare in the United States. Unfortunately, government intervention has led to perverse results, not the least of which are skyrocketing costs of premiums and deductibles for families. The 5th District is home to the costliest health insurance in the nation. Denver pledges to change the way we view the system so that we can return to the market we desperately need. When politicians passed Obamacare, they focused on “coverage” but failed to realize that means nothing when even the cheapest of deductibles are too expensive for families to afford. Denver wants a system where we can save our own untaxed earnings for health-related costs rather than a system that creates dependence on the last remaining insurance company or Government. A stronger market for health savings accounts can eliminate the high-premium/high-deductible world we have today. As a businessman, Denver thinks our system isn’t flexible enough. He will work to expand the amount of savings you can dedicate to your healthcare, the care of your family members, and the care of those with preexisting conditions. He knows market forces can fix our financing and healthcare needs much more efficiently than the Federal Government. A consumer-driven model that encourages personal savings and allows for deductible transfers to those with preexisting conditions can keep our costs in check, allow for innovation, and eliminate burdensome and costly regulation along the way. When it comes to Medicaid, Denver knows that those without the means to pay for preventative medicine, costly procedures, or expensive pharmaceuticals are oftentimes at risk of becoming increasingly ill. Lack of access will result in higher costs on the system. Denver believes consumer-driven models can provide access to care for patients while encouraging them to be better stewards of funds spent on their needs. He will fight to reform our Medicaid system so States have the flexibility to enact these models and implement other conditions if they so choose. He believes even the smallest amount of “skin in the game” can influence everyone to be more prudent when making healthcare decisions and can reduce the fiscal strain on our system along the way. Ultimately, the Government is not equipped, transparent, or competent enough to manage something as important as your healthcare. We cannot continue down a road where your health increasingly rests in a politician’s hands; there’s too much at stake. Most Americans don’t realize that the Federal Government effectively limits the number of students that become doctors every year, primarily because of its funding of medical residencies through Medicare. Denver thinks the current limitations are ridiculous, especially when portions of the 5th District lack the number of physicians we need. Not only does it reduce our supply of doctors, it drives up the demand and costs in areas that need them most. Denver believes we must eliminate the cap on medical residencies and prioritize the allocation of funds to “doctor deserts”—those areas that need them the most. By eliminating the cap and allowing entities such as hospitals, universities, physician-owned practices, and insurance companies to fund residencies in the areas with less demand, our healthcare system can start to return to the free market we desperately need. Visa overstays account for an overwhelming amount of the growing illegal immigrant population. Reforming our visa system so that responsible, legal, and monitored labor can meet growing demands in emerging technologies, manufacturing, and agricultural economy are a priority. Denver supports a mandatory E-Verify system that requires employers to confirm the visa or citizenship status of their employees. Republican policies have created a robust job market with more new jobs than Americans to fill them. The increase of agricultural jobs here in the 5th District will need more migrant workers. Advances in our technology and manufacturing sectors will demand more workers beyond what is available in the current job market. To fill these vacancies, many companies are looking for foreign workers. Denver supports a mandatory E-Verify program, migrant visa reform, and the introduction of the H2C visa program so businesses can meet their new labor demands while eliminating the incentive for illegal immigration. A nation is only as sovereign as its borders are secure. With all the resources that we have dedicated to military conflict overseas, it is time for the United States to reduce that spending and increase security where it matters most—our own points of entry. Denver believes that one fix is to reallocate funds cut from a wasteful Pentagon budget to our Southern Border and U.S. ports. Our failure to secure the border incentivizes a humanitarian crisis of mass illegal immigration and has led to human trafficking, kidnapping, drug trafficking and threats to the homeland. It is well past time to build physical and technological barriers, including a wall where it is conducive. Denver’s extensive experience with attended and unattended sensors (land-based and airborne) and decades of analytical experience in disciplines related to interagency identification capabilities and data aggregation allows him to understand how cooperative strategies can bolster border defense and can assist with expediting immigrant identification. Denver fully embraces an “all-of-the-above” strategy to securing our border. As a 5th District business owner, Denver felt the positive impact of the “Tax Cuts and Jobs Act” and used these savings to create additional services and manufacturing jobs in the district. Many provisions of tax reform go into full effect for the first time in 2019, but some cuts have already helped his family expand its business into different markets. As great as these cuts have been for job growth, Denver knows there is more work to do. Tax cuts for individuals must remain permanent so that families can keep their hard-earned wages. Denver will fight to make sure tax cuts remain permanent so that all 5th District businesses have the security and stability to grow. When elected, Denver will vote for permanent tax cuts and continue to fight for tax reform. Like most Americans, Denver and his wife Christine must keep a balanced checkbook every month. Shouldn’t the same standard apply to the federal government? Denver hates the wasteful over-spending that corrupts Washington D.C. The responsibility to live within our means has been long forgotten by politicians. Denver vows to cut redundant programs, eliminate wasteful spending, end corporate subsidies and implement aggressive financial audits. He knows fraud, waste, and abuse exist in every federal department and that both political parties are at fault. The 2018 omnibus bill is a prime example of over-spending and detrimental deal making. Not only did it contradict every fiscal conservative principle that Republicans should stand for, it put the long-term benefits of tax reform at risk by increasing the deficit. Denver pledges to install cuts and sensible reform across the board and believes that no department or agency can be free from scrutiny. Denver is a decorated Air Force Intelligence Officer and Chief Executive Officer of one former company and a current defense contracting company. He understands the needs of the American Military and the existential threats that face America daily. The world is a dangerous place. Denver’s experience with kinetic and non-kinetic mission planning, limited warfare and non-traditional threat analysis uniquely position him to be an United States Congressman. His current experience with the Office of the Secretary of Defense managing electronic warfare and cyber programs allows him to understand and operationalize policy related to not only strategic geopolitical objectives but also to understand the practical application of systems related to phased and unconventional warfare. n 1996, Denver was deployed to Tel Aviv for a Presidential support mission. Due to his experience during this time, Denver understands the importance of the close relationship between the sovereign state of Israel and the United States. Israel is America’s premier ally in the Middle East. Since its creation in 1948, the Jewish state has been a symbol of stability in the region. For this reason, it is essential that Israel maintains its qualitative military edge to provide stability and safety in the region. It is vital that the United States continues to play a pivotal role in maintaining this edge by providing weapons of war, technological teaming and information sharing to assist Israel in keeping its citizens safe. With Denver’s Intelligence experience, he understands that Iran continues to be one of the largest perpetrators of state-sponsored terrorism, not only in the Middle East but around the world. The influence they have built is far-reaching; from the funding of Hamas and Hezbollah to providing armaments to the brutal Assad regime in Syria. Denver applauds President Trump’s recent decision to move the embassy to Jerusalem and the administration’s support of Israel. If you have any questions for Denver Riggleman, send them to Virginia onAir at virginia@onair.cc. Virginia will first see if Denver Riggleman has answered your question somewhere else. If they haven't, Virginia will pass on your question to Denver Riggleman and post their answer, if they have one. If you have any suggestions for Denver Riggleman, especially if you are a current or former constituent, send them to Virginia onAir at virginia@onair.cc. Virginia will record your suggestions here. If you have something positive to say about Denver Riggleman and you are a Virginia onAir Hub member, send your recommendations to Virginia onAir at virginia@onair.cc.